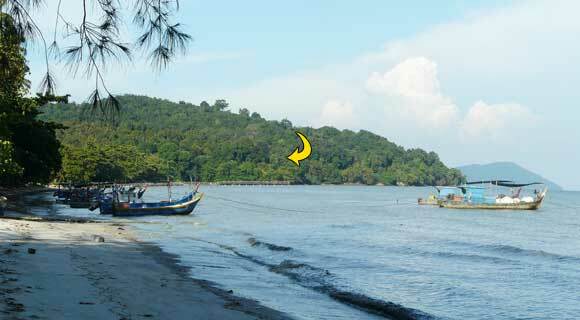 This is the view of the subject property from the coastal road to Gertak Sanggul. To the right of the road is the sea. 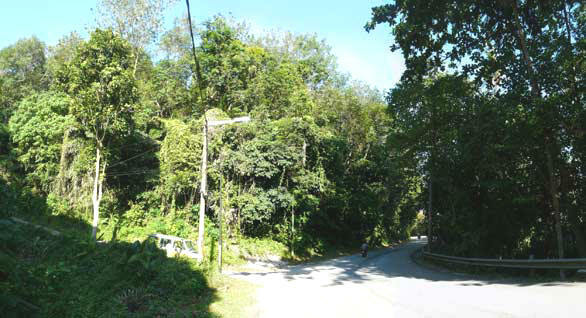 The land extend well beyond the left of this photo and has a view of the sea. Electricity and water is available here. This land can be developed into sea-view bungalow lots. This is the view from Gertak Sanggul village towards the subject property which is located somewhere in the middle of the photo and overlooking the sea. View of Gertak Sanggul's fishing village. Shown here are some of the nice single storey houses facing the sea.